Past President Leigh Bates introduced our guest speaker, Simon Crowe (An Advanced Support Paramedic). Do you know where the nearest AED or Defibrillator is in your town? 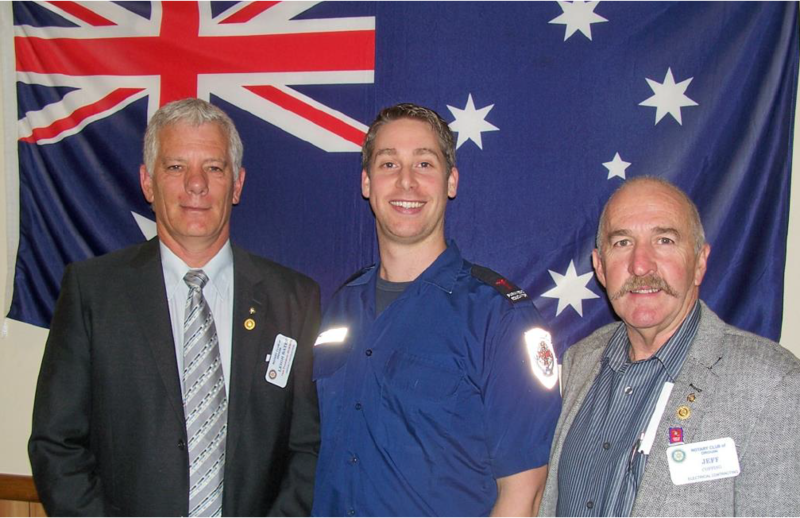 Rotary Club of Drouin inconjunction with Ambulance Victoria, have taken a project to ensure that registering and advertising locations of local defibrillators are well known by the community. If Defibrillators were registered online a call to 000 would allow the operator to advice the caller of the nearest location of an AED. The community needs to be contacted and made aware of the locations of local Defibrillators. Later, not just Drouin, but Warragul and Baw Baw Shire could be covered and even all Gippsland.